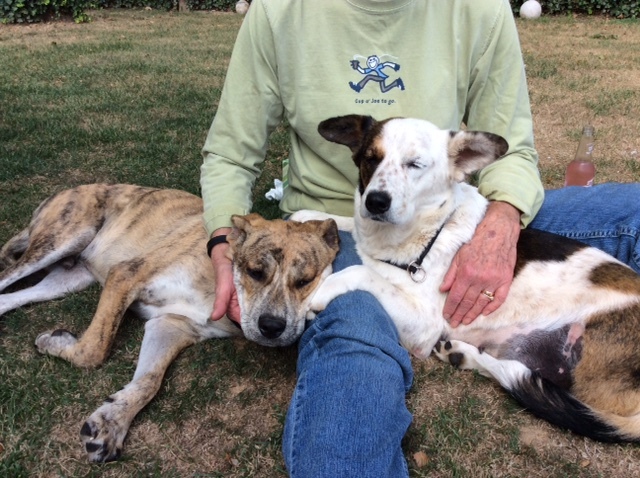 Lucy and Indy are 2 dogs that both suffered injuries from abuse. They were found at different times but from the same area. They were rescued by SOAPS, fostered and then sent to K9 life savers for adoption several weeks apart. Indy went up to K9 Lifesavers in August and Lucy, in September. However, they saw each other last weekend at an adoption event & it was obvious they recognized one another. The rescue said it was amazing how they just went to each other and they definitely knew each other. Well… They have both been adopted & into the same home! 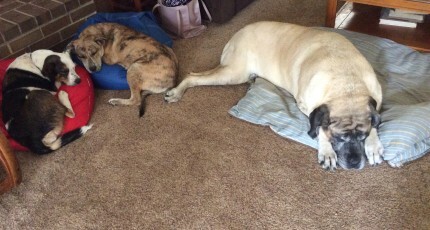 They have a 100 lb mastiff brother and are doing wonderful in their new home! Thanks to all who helped these babies!